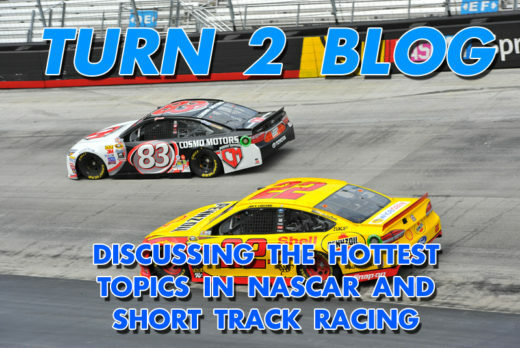 *Turn 2 Blog is a regular feature on InsideCircleTrack.com. 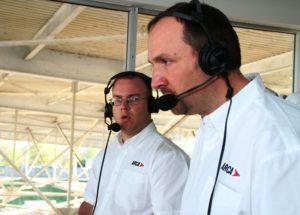 Here, site operators Michael Moats and Richard Allen take turns offering their thoughts on the NASCAR and pavement short track racing topics of the day. In this edition of the Turn 2 Blog we will be discussing five topics regarding the ARCA Racing Series as that tour looks to kick off its 2019 season at the Daytona International Speedway on Saturday. We are happy to be joined by Charles Krall who serves as the Communications Manager for the ARCA Racing Series(@ChasKrall on Twitter). 1. ARCA has an interesting mix in that it races on big speedways such as Daytona and Talladega as well as on historic short tracks such as Salem, Toledo, Madison and Nashville. Does this series serve as the greatest test and/or training ground for drivers outside of NASCAR? Charles Krall: I think the ARCA Racing Series presented by Menards is a tremendous proving ground for drivers and has been for as long as I can remember. The mix of venues is unmatched in American motorsports. Plate tracks, intermediate speedways, short tracks, dirt tracks and occasionally a road course. If you can succeed in ARCA, you’ve proven you can get it done up the ladder. Michael Moats: I say yes it is because the many different sizes of tracks they race on and they also have a couple of dirt races. They may be racing at Michigan one week, then Salem the next week, and Springfield on dirt the following week. It’s very diverse series. Richard Allen: The ARCA Racing Series truly does put drivers to the test. The variety of facilities on which they race shows just how versatile a driver can be. If someone is looking to move higher up the ladder to NASCAR, they will face the same challenges in ARCA which should give team owners and sponsors confidence that the driver can indeed succeed. But this series doesn’t necessarily have to be only for those looking to go higher. We have seen veteran racers such as Framk Kimmel and Bobby Gerhart have long and successful careers in this form of racing. 2. ARCA has two races each year on dirt. Should NASCAR seek ways to put its stars on dirt aside from the truck race at Eldora? Charles: The dirt question is a paradox for sure. On one hand, our dirt races are super cool and the Truck race at Eldora (full disclosure, I do track PA for that event) is every bit as awesome. The problem with doing more of those types of events is you diminish the ones that already exist. If you can find a way to get Cup guys to go back to weekly short tracks and run in weekly events, it would help on a couple of levels but I am personally not sure there needs to be more “big league” dirt races. Michael: I know a lot of people would like to see that, but I’m in the minority of saying no. When I think of dirt track racing, I think of Dirt Late Models, Sprint Cars, Midgets, etc. Putting an Xfinity or Cup race on dirt would be like seeing a Street Stock in action because of the weight and how the car in constructed. Street Stocks aren’t even the top draw in dirt track racing. I think it would be neat to see once or twice, but not any more than that. Richard: I tend to agree with you guys in that there can actually be too much of a good thing and those cars are not really made for dirt racing. I attended my first NASCAR Truck race at Eldora Speedway this past season and enjoyed it a great deal. However, I’m afraid it would start to become a bit too routine if too many were added. I like that ARCA has two dirt races which allows teams to get more than just one use each year out of that particular car. For that reason, I wouldn’t mind seeing one more truck series race on dirt at perhaps a facility such as Knoxville Raceway or Lucas Oil Speedway, but no more than that. 3. NASCAR will officially take control of the ARCA Racing Series in 2020. Is there a need for an ARCA Series and the two K&N Series under the same umbrella or should NASCAR find a way to combine the two? Charles: There has been a loose framework announced of a way ARCA and the two K&N Pro Series divisions will work together in 2020. I am not in on those conference calls and meetings as they are way over my head, but I do know they talk about what 2020 will look like just about every day. The idea is to bring them all together about 10 times a year to strengthen everyone. A rising tide lifts all ships. I like the ideas that I have heard so far, with separate K&N Pro Series championships, a separate ARCA national championship, and then a championship for when everyone is all together at the same time. It’s going to make for some interesting races that’s for sure. Richard: As someone who covers a great deal of Dirt Late Model racing, I like the idea that that form of racing has two national series. I believe that model can work. And one of the things that makes having two series appealing is that it gives more fans more opportunities to see the sport’s top divisions. And another cool thing about the two series model is that there are times each year when the stars of the two tours are brought together for the bigger events. I believe having the ARCA and K&N series operate separately some of the time and together on on a few occasions is an intriguing one that could bring greater exposure to both forms of racing. Michael: I think they should remain separate. The two K&N series are based on regions (east and west) and are primarily for short tracks. While ARCA does not go west, it gives drivers a chance to get some speedway experience they couldn’t get in K&N. 4. NASCAR already places limitations on its Monster Energy NASCAR Cup Series drivers in regard to their participation in the Xfinity Series and Gander Outdoors Truck Series. Should it do the same for ARCA once it takes possession? Charles: I don’t know that you need to place restrictions on Cup drivers coming and racing in ARCA. I don’t see Kyle Busch making a run at nipping Frank Kimmel’s all-time ARCA win record. I think if we could find a way to get some Cup drivers to come run those dirt races – like Tony Stewart did between 2001 and 2003 at DuQuoin – it would be a big boost to those events and give those fans a chance to reconnect to their heroes. But I think a limit on Cup drivers in ARCA is a solution to a problem that, as for now, doesn’t exist. Michael: I really don’t see this ever becoming a problem. There are only a few weekends NASCAR and ARCA are at the same track. 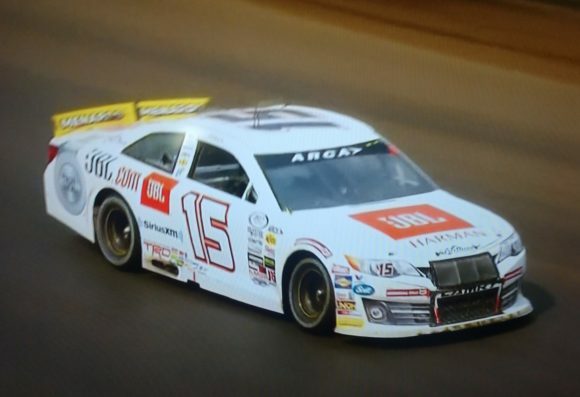 Almost all the NASCAR drivers that do run in ARCA are young drivers that need seat time on a particular track. Unless Kyle Busch or Joey Logano started running ARCA races, then there should be a rule. But I think that is highly unlikely. Richard: Since we don’t know the exact form the ARCA Racing Series schedule will take once the takeover occurs, I am going to hold judgement here. If there were to be a movement to separate the Xfinity Series from the Cup Series more often(which I believe there should be) then ARCA could be used to fill the gap left by the movement of the Xfinity Series. If something like that were to take place, I could see some of those top drivers slipping down to ARCA. If that be the case, I would be for imposing limitations. 5. Some believe that NASCAR’s two “lower” series race in conjunction too often with the Cup Series. Once ARCA is also brought on board should NASCAR seek ways to separate all of its lower divisions from the top series? Charles: There are a lot of reasons why having all three series at the same track on the same weekend is a good idea. Logistically, it makes a lot of sense for NASCAR and for the TV partners. So from a business perspective it makes a lot of sense. But we all have very fond memories of the 1990s when you had all three national series racing on the same weekend at three different venues and on three different television networks. I don’t know that we’ll ever recreate the economics that allowed that to happen. I do know that there is an interest in reaching some valuable markets that the top three series aren’t currently in, just from informal discussions with friends in management with teams in the various series. I am not sure where ARCA fits in those discussions long term. Short term, I know our marching orders are very simple. Business as usual. I don’t see a major overhaul to our schedule in the near future. Maybe there will be some changes, but whatever they are, I think ARCA will continue to look and feel very much the same going forward. Richard: I like the idea of each series having its own identity with drivers being known for racing on that series. Guys like Ron Hornaday, Jr. and Jack Ingram became NASCAR Hall of Fame members because of their efforts racing primarily on the “lower series”. However, I know that with the television and series sponsorship deals currently in place, such a system would be more than a little difficult to return to. I not only hope ARCA maintains its identity, but I would even like to see that series migrate even a little further from NASCAR and more toward those historic short tracks that were mentioned earlier. 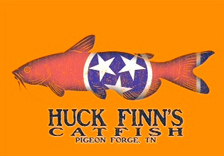 Michael: One thing I miss about the old Busch Series was them racing at Hickory, South Boston, and places like that. The Xfinity Series has become Cup Lite. Yes, I’d like to see more separation among all the series, give each of them their own identity. Respond to this post on Twitter by following @RichardAllenIDR and @MichaelRMoats or by liking the InsideCircleTrack.com Facebook page. Also, dirt racing fans can check out InsideDirtRacing.com for more racing content. Will “The Big One” Become Even More Commonplace in 2019?